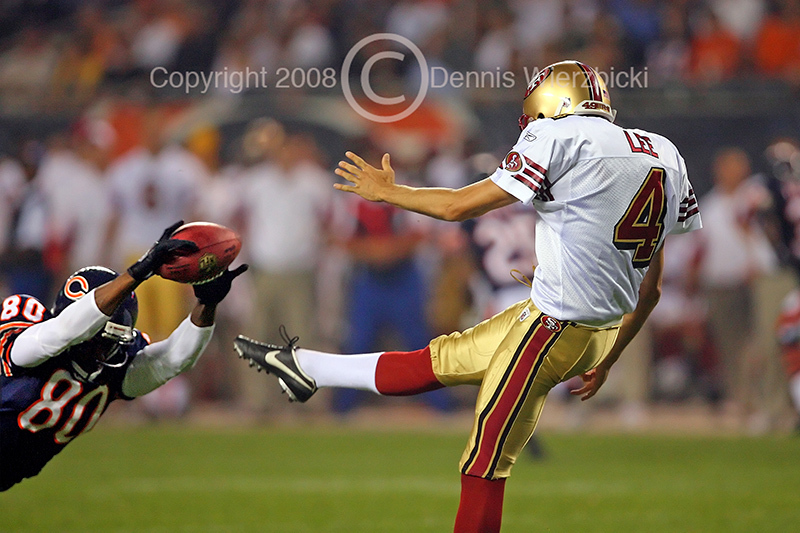 Chicago Bears wide receiver Brandon Lloyd (80-L) blocks a punt off the leg of San Francisco 49ers punter Andy Lee (4-R) during the second half of an NFL game between the Bears and the 49ers at Soldier Field, won by San Francisco 37-30. This should be your trademark shot. You don't get the chance at these types very often... hope your doing well.